Keep your shoes together with style! 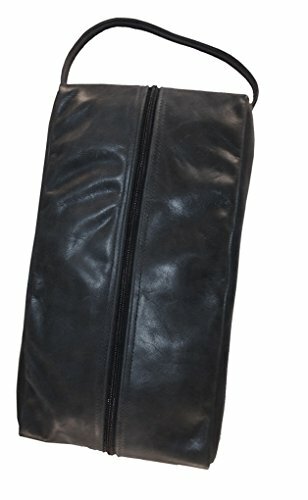 This durable full grain leather shoe bag includes a carrying handle and a hidden, zippered interior pouch to keep your belongings organized. Carry size 14 shoes - much larger than imported shoe bags!! If you have any questions about this product by TPK, contact us by completing and submitting the form below. If you are looking for a specif part number, please include it with your message.